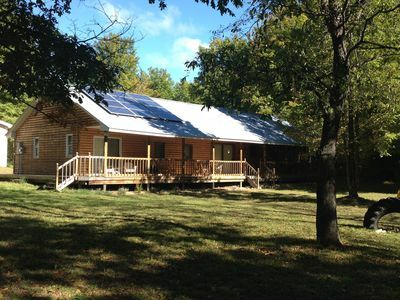 Private South Boardman Cabin on 10 Forest Acres! 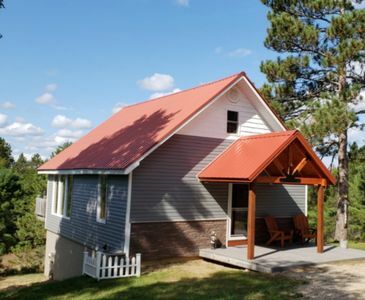 If you're seeking a truly relaxing getaway, look no further than this picturesque South Boardman 2-bedroom, 1-bathroom cabin with accommodations for 5 guests. 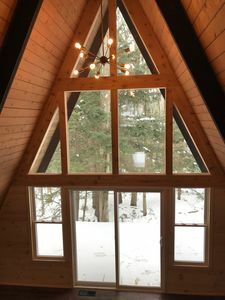 Nestled on 10 forested acres and backed up to 33,000 acres of state land, you'll have all the privacy you could want and access to hundreds of trails out the back door for hiking, snowmobiling, and more! 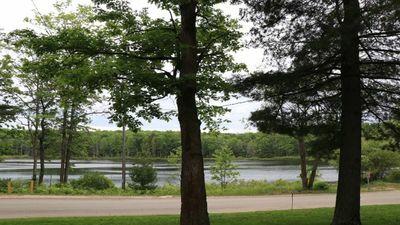 And with Traverse City still just around the corner, you couldn't ask for a better spot to spend your Northern Michigan vacation! 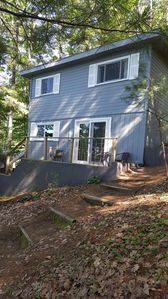 Boasting 2 bedrooms, 1 of which is a loft, 1 bathroom, and 1,000 square feet of charmingly decorated living space, this serene dwelling is perfect for families, friends, or couples out for a rejuvenating retreat in nature. 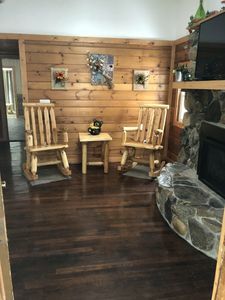 You'll feel right at home the moment you first step inside the cabin's genuine log tongue and groove interior, which creates a delightfully rustic ambiance that perfectly reflects this secluded setting. 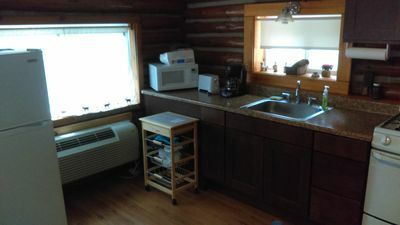 All the amenities you need to feel as comfortable as possible during your stay are here, including air conditioning, in-unit laundry machines, a TV with DVD player and Satellite TV for your entertainment, and a fully equipped kitchen, complete with all the essential cooking appliances. If you're craving that smoky barbeque flavor, whip up some brats or steaks on the charcoal grill outside. You'll love this cabin's incredible location, surrounded by dense trees in every direction. 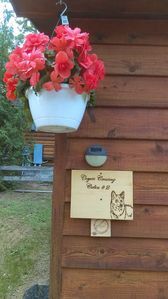 Look forward to spending your vacation mornings sipping a piping hot cup of coffee outside on the spacious covered deck, where you can delve into a good book and admire the gorgeous scenery. Enjoy a tasty lunch around the picnic table in the yard before unwinding on the hammock. After the sun goes down, gather with your companions around the fire pit for a memorable evening of campfire stories, s'mores, and stargazing. It simply doesn't get much better than that! 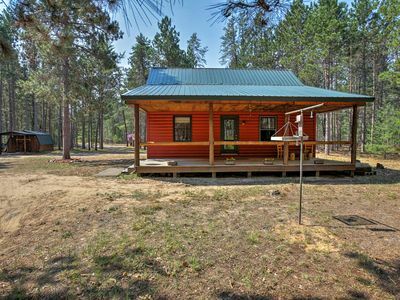 From this wonderful cabin, you'll get to enjoy short travel times to a myriad of area attractions that suit a wide variety of interests and tastes. 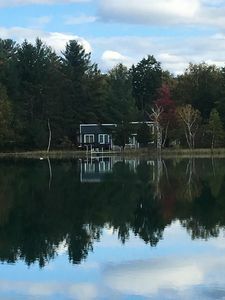 The property is conveniently situated 1.5 miles off US 131, providing easy access to all kinds of activities, from fishing and hunting to snowmobiling, hiking, and biking. There are hundreds of groomed trails for snowmobiling right out your back door! Gas, food, beer and wine are a short two-mile ride away. 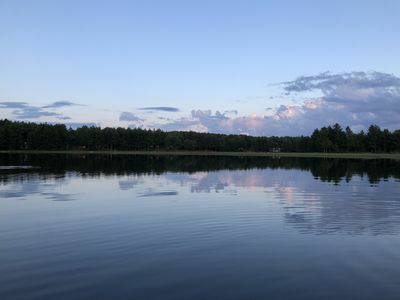 Within 10 miles of the cabin, you'll find opportunities for horseback riding, canoeing, and tubing at Ranch Rudolf when the season is right. Fife Lake is only 6 miles away. The golfers in your group will be pleased to find excellent local golf courses within a 22-mile radius. If you're feeling lucky, venture 16 miles over to Turtle Creek Casino for an exciting night of gambling. 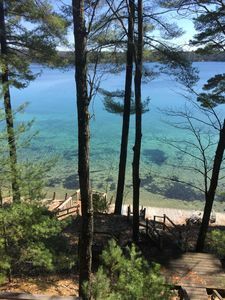 Be sure to spend a day exploring nearby Traverse City, just 22 miles from the property, where you'll discover great downtown shopping, many fine restaurants, microbreweries, and Grand Traverse Bay. 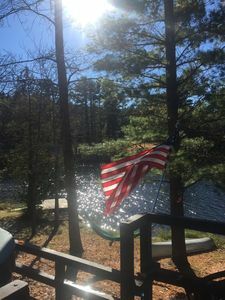 - Tranquil, secluded setting on 10 forested acres that back up to 33,000 acres of pristine state land w/ hundreds of groomed trails! 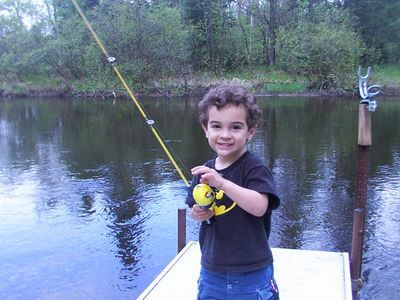 - Easy access to Traverse City, Turtle Creek Casino, Fife Lake, Ranch Rudolf, and numerous outdoor recreational activities! 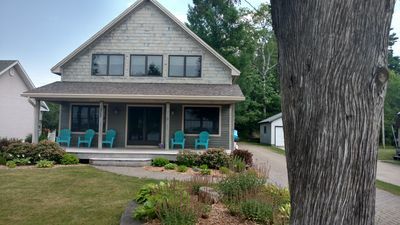 Traverse City Lakefront Log Home, FREE Hot Tub, WIFI, & Boats. 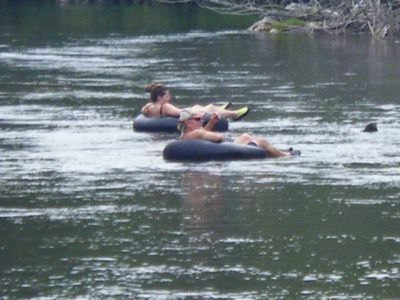 Come stay w/us in beautiful Northern Michigan on the manistee river ! Welcome; Perfect location, central air, 2 car garage! 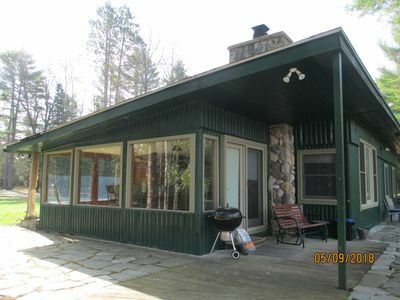 Newly Renovated Vacation Home on Crystal Clear Bear Lake. 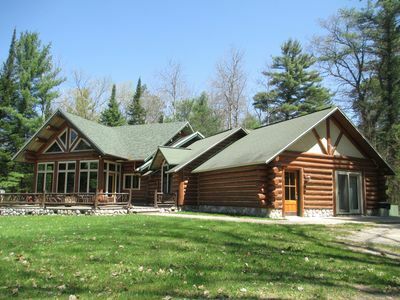 Log Cottage on Blue Lake-Spring has arrived!! 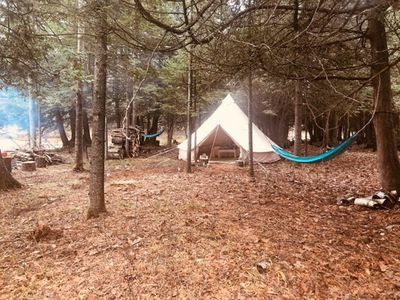 Glamping on the Manistee River @ 1 of 3 State Forest Campgrounds! 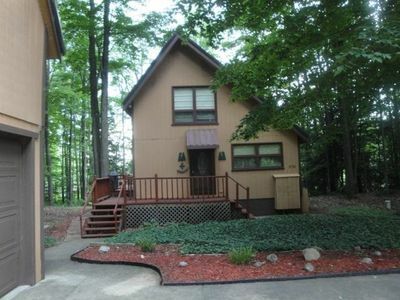 Come enjoy this very peaceful hidden gem on the banks of the Manistee river.